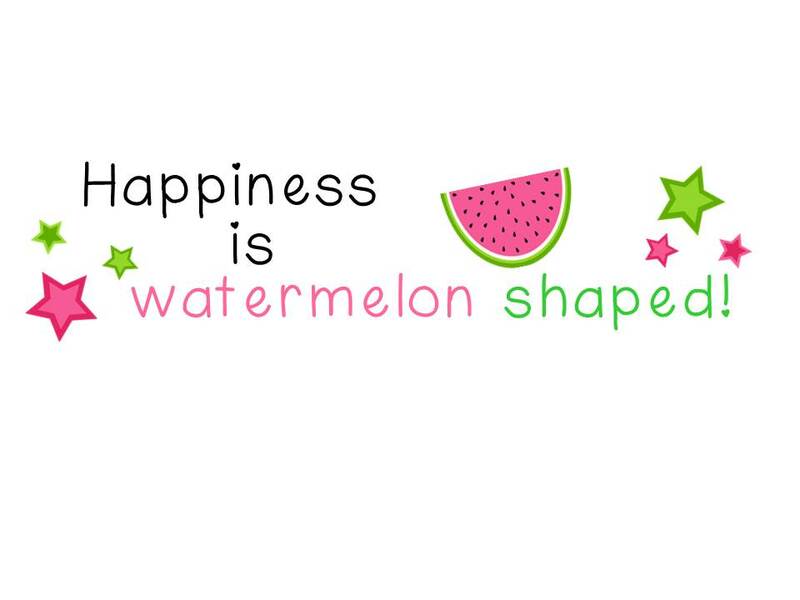 The Cluttered Closet - HAPPINESS IS WATERMELON SHAPED! 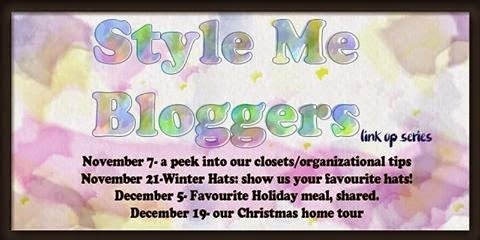 I'm starting to think that I first read about the Get Your Pretty On Style Challenge from Positively Learning! I've done the Summer and Back to Work style challenges. Due to warm fall weather, I am still catching up with the Back to Work Challenge. In the first pictures are my skirts; I love my skirts and wear one just about every day. The skirts to the left are the ones that are "on deck." I like to wear all my clothes so I put the ones I just wore at the end of the line. I do the same with my teacher bags (top right), and I have quite a collection. I usually switch out my bag halfway through the school year. Again, I put the one I used last at the end of the line. The left picture on the bottom shows my off-season clothes; although I think I'll be getting out my winter coats fairly soon. On the bottom right are my piles of jerseys and sweaters. 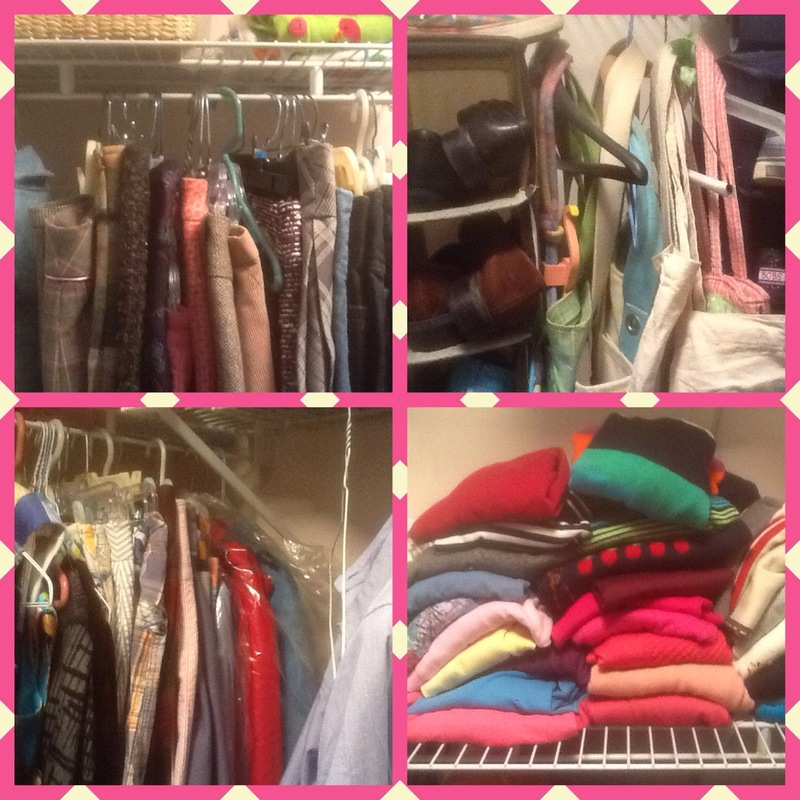 In a perfect closet, I would have my clothes sorted by color, but I'm just not disciplined enough to keep that organized. Now it's time to get back to work getting ready for tomorrow. Another way I keep organized is that I pick out the next day's outfit the night before. I've been doing this forever; I'm too tired in the morning to make big decisions. Also, I'm super lucky to have won a prize from Jennifer! Here's the link to her Math Questions on TPT so you can check out this helpful product. Thanks, Jennifer, for the prize and for starting this link-up! I agree, one of the best ways to stay organized is to pick out tomorrow's outfit - today! Thanks for linking up! Thanks for linking up. Love the "on deck" concept! Thanks for checking in today! Happy Labor Day Weekend Friday Favorites! Linking Up and Answering Questions With The Blended Blog! 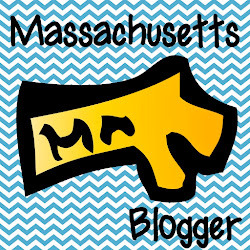 Friday Favorites ~ Highlights From Maine! And Just Like That ~ We're Back to School! Currently ~ Just July & the Start of Summer! Fridays & Weekends Always Make Me Smile! Anchors Away - Land Ho! Finally - Full Week of School Five for Friday! Check out these awesome Pins! Isabella Babysits Baxter - A Book Review! Anchors Away on Veterans Day! Positive Thinking & Thankful Thursday! Anchors Away A Day Late! Five For Halloween On A Friday! Left Behind But Not Alone ~ that's good! ~ Check out my free teaching resources! Click on the "P" button to follow me on Pinterest! Didn't find what you were looking for? Try here!